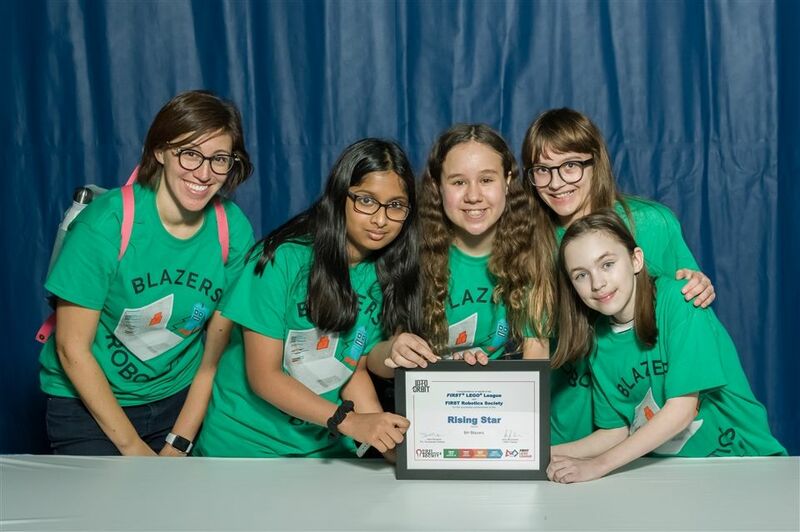 Over the last four months, Jozi Oliver, Janet Venditti, Asmara Azeez Ismahil, and I have been preparing for the FIRST LEGO League robotics tournament in Edmonton. We coded our robots to do different challenges, each scoring a different amount of points. We also had to research and find solutions to a problem involving long-term space travel, which we would have to present at the tournament. The four of us have been working on robotics since Grade 4, but only this year did we go to the actual tournament for the first time. With help from our Grade 12 mentors Barrett Arbour, Mia Battad, and Olivia Wilde, as well as Mrs. LaPage, we all prepared to travel to Edmonton to compete against other teams. We had a meeting every Monday and Thursday after school, and I always looked forward to it at the end of the day. Not only was it fun to code robots, but I also really enjoy hanging out and having fun with everyone. On January 25, Jozi, Janet, Asmara, Mrs. LaPage, and I got on a plane and flew to Edmonton. I was nervous, but everyone was very encouraging and made me feel a lot more confident. January 26 was the day of the tournament! In the morning, we gave three different presentations: one for our research project; one on our robot design; and one on how well we work as a team. Then, in the afternoon, it was time for the robot games! We went head to head against five teams at once, with loud music in the background and strobe lights everywhere. Was it what we expected? No. Did we have fun? Lots! We even got the Rising Star award, which was presented to the team with a great amount of potential! I really enjoyed this entire experience, and I am sure everyone else on the team enjoyed it, as well. We had lots of fun, and we are excited to compete again next year.